What to Do if Your Dog Is Exposed to Bed Bugs? Bed bugs are one of the rarer pests to affect dogs, as these insects are not designed to move well through fur and hair, preferring human skin over that of your pets. However, if there is a severe infestation of bed bugs in your home or elsewhere, there is a chance they may move into your dog’s bed. 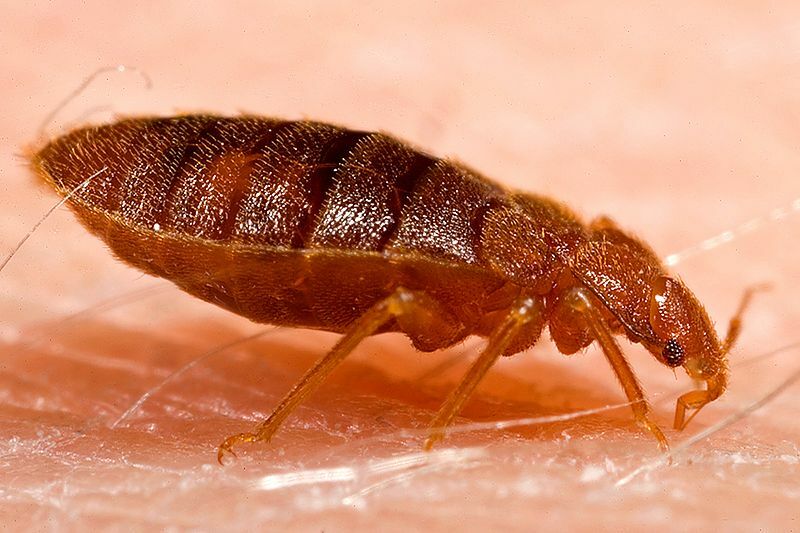 You are usually first aware of bed bugs when you experience itchy bites yourself, as well as finding blood spots over your bedding; though sometimes you may see the bugs too, which are a red-brown color and the size of an apple pip. When you find signs of bed bugs in your home, it is always worth checking your dog’s bedding, as they will make your pet uncomfortable if they start to bite. However, unlike other pests, such as fleas, lice, mites and ticks, they don’t transmit diseases to either you or your dog. Launder it, including the bed itself if it is made from fabric, at a high temperature. If any items aren’t machine washable, tumble dry on a medium to high setting. You should also wash or tumble dry any coats or fabric toys that belong to your dog. Give a professional business such as The Aardvark a call and one of our bed bug sniffing dogs can make sure your property and your own beds are safe.